If you own a cabin or cottage or dream of having one in the future, you may already have some thoughts on how you would decorate your retreat. It probably isn’t quite the same as how you would choose to decorate your home. I’m thinking a relaxed atmosphere that is maybe a little more off the wall. 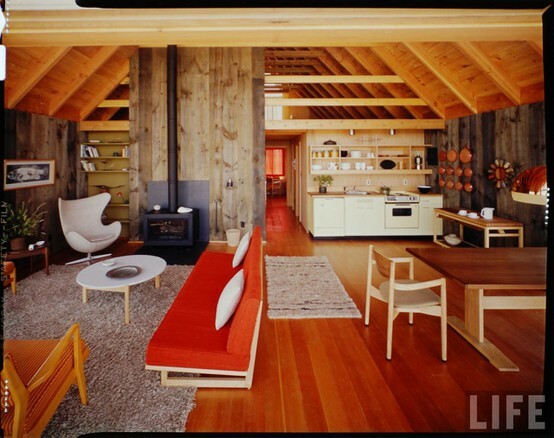 A cabin is a place that you can experiment a little or go away from the typical norm. Since it should be a haven to go to for fun and relaxation, the decor style should also reflect a more carefree setting. Some things to experiment with may be the flooring and wall materials, lighting choices, and unique decor. 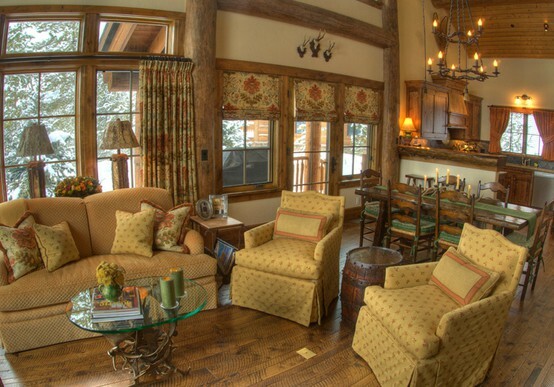 I found several examples of cabin designs and decor that will be sure to inspire you. Make sure to also check out my cabin building tips page for many more ideas and tips. This place is nice and cozy! 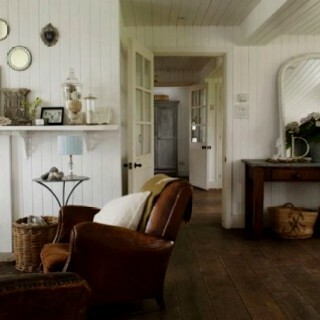 I like the contrast between the white log walls and the dark wood beams and dark floor. The stone on the fireplace adds a nice warm and rustic touch as well. 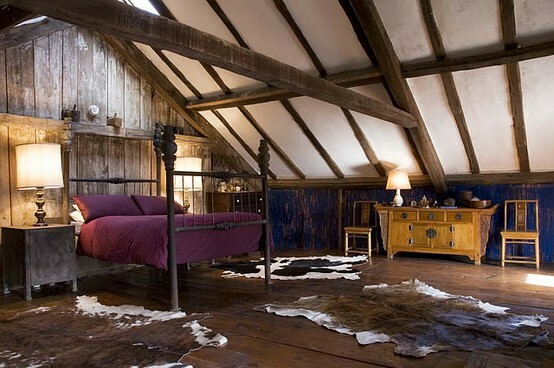 The furnishings, lights and wooden beams on the walls really are what make this place. The wood floor and ceiling also set it off with warmth. 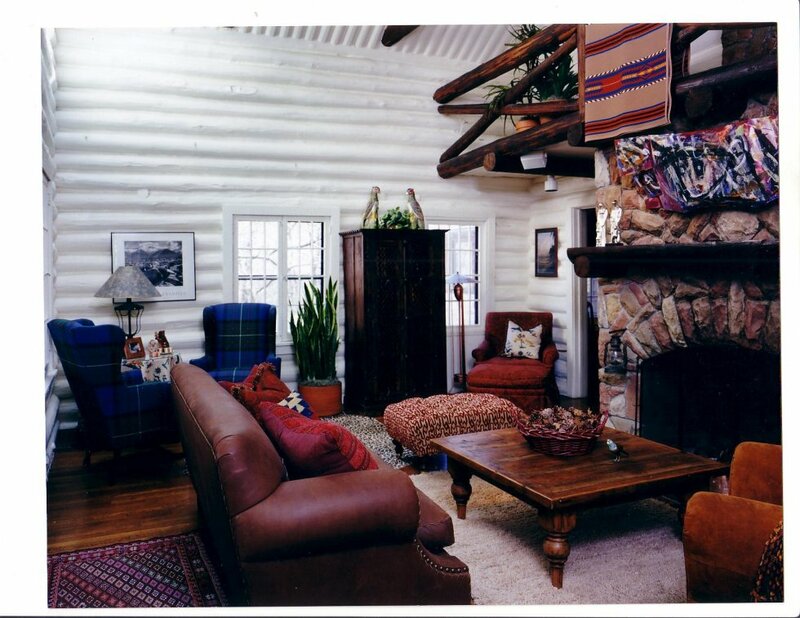 Here is a perfect example of more off the wall decorating for a cabin. The hide rugs, barn wood wall, beams and bright blue wood wall are all relaxed decorative touches that would make any retreat extra fun. I’m loving all of the different wood in this one and the white chair just pops in contrast! 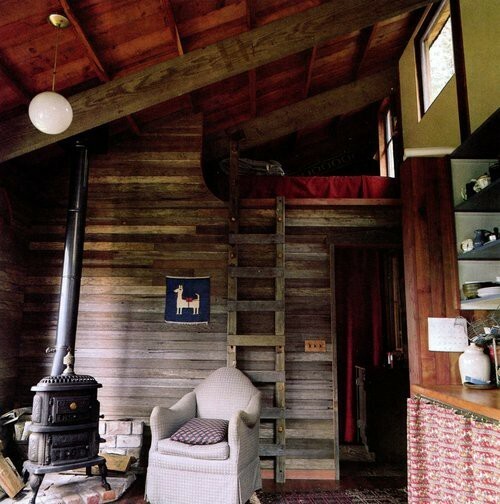 I would call this retro rustic – anything goes when decorating a cabin! There is definitely a lot of interest with all of the variations in wood color and design elements. And finally, the clean simplicity of this one with the white walls and wood floor is very soothing and feels like a spa retreat. Do you have some unique ideas in mind for some fun cabin decor? Would you make it soothing or fun? Leave me your comments or questions below. I could totally relax in any one of these settings. Hey, while you’re up, grab me a glass of tea, k? Haha! I know! The atmosphere definitely takes you away from the norm.